It’s a bike frame like no other: mesh texture, custom-fit, the designer’s name incorporated into the structure. 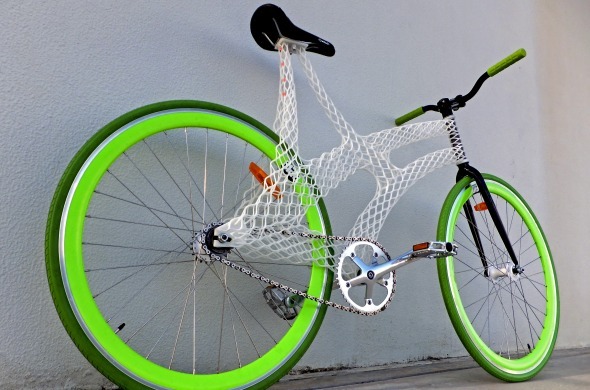 This sure must be a 3D printed bike! 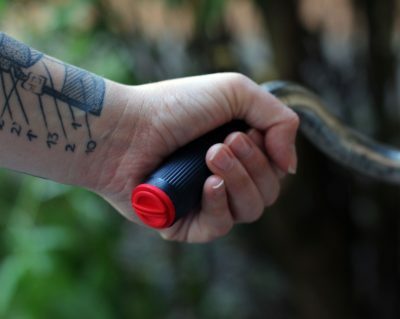 The man that brought this stunning product into world is Australia-based industrial designer, university lecturer, student, researcher, and 3D printing enthusiast James Novak. 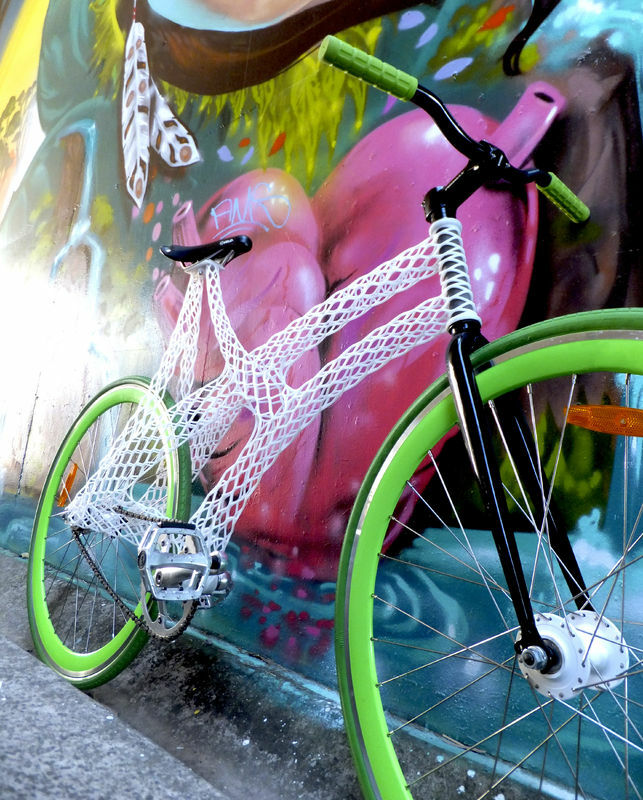 Here’s the story of his journey to designing a 3D printed bike, the FIX3D. Creative folks like you may be feeling the same as James. After completing degrees in Architecture and Product Design, James started his career as a professional industrial designer. However, even after a number of high-profile projects, “I was always searching for something more, something that I could really sink my teeth into and get excited about,” he said. The moment of finding his “something more” came rather unexpectedly. When James paid a visit to Griffith University as an alumnus and lecturer, he stumbled upon and fell in love with 3D printing. 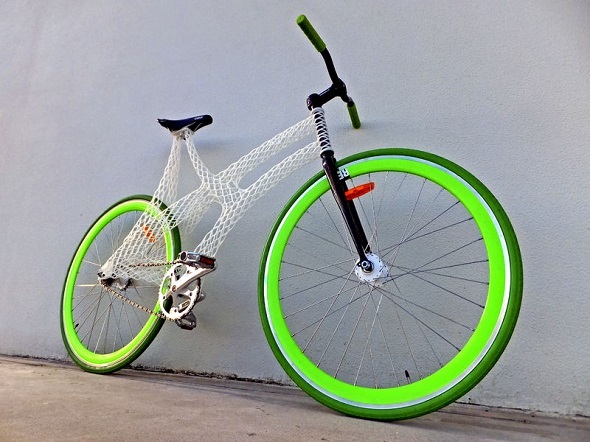 Why would you 3D print a bike? 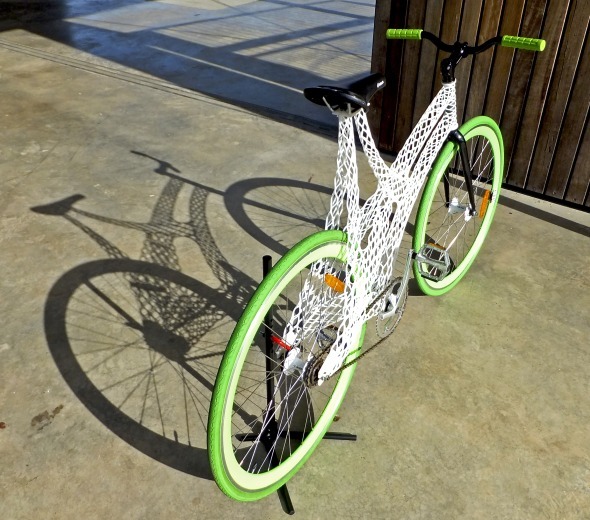 This 3D printed bike frame was an experiment for James to determine the extent to which he could exploit the uniqueness of 3D printing. 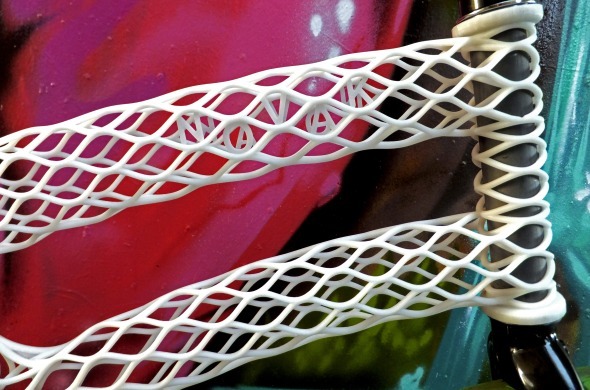 “What I really wanted to achieve was something that takes full advantage of the benefits of 3D printers, especially the ability to create one-off, customizable pieces that may be lighter-weight and stronger than traditional frames through the use of complex lattice structures. 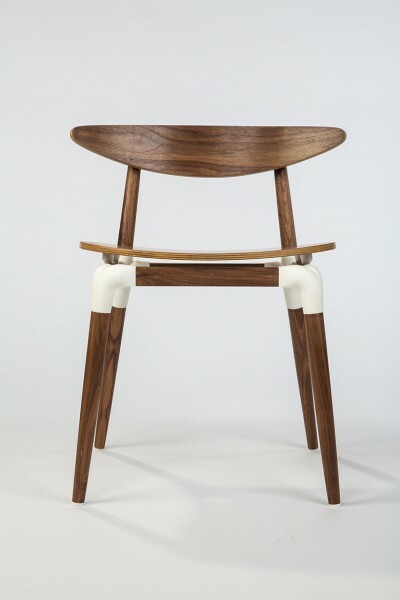 More than anything, I’d like my work to be an example of what we should be 3D printing.”, James explains. His name NOVAK nicely incorporated into the structure! The bike frame is indeed a great example of a customized sport item – it is even designed to fit James’ body proportions. But what does it takes to 3D print a large and complex object like this? Although he spent about 150 hours modeling the item in 3D on SolidWorks over a couple of weeks, he says modeling wasn’t the most difficult part of his 4-month project. According to James, what has taken the most time and energy was actually discovering what’s possible with 3D printing, understanding the limitations of this new manufacturing tool, and re-imagining the concept of the bike frame. 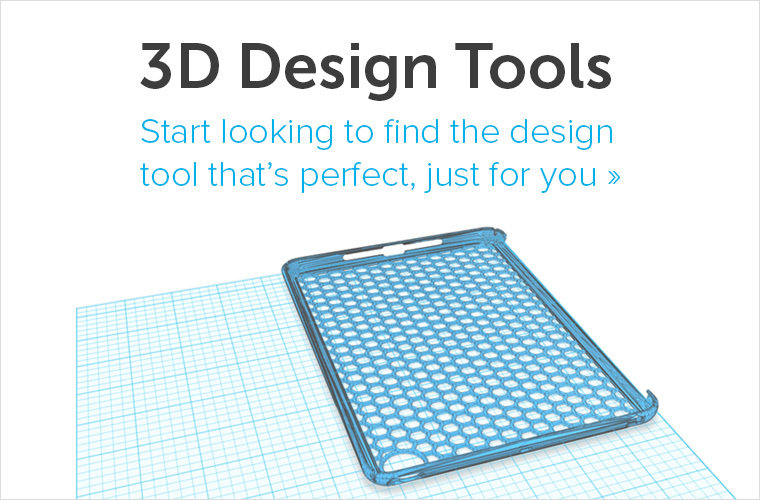 For making things easier, James decided to print his design via our professional online 3D printing service. 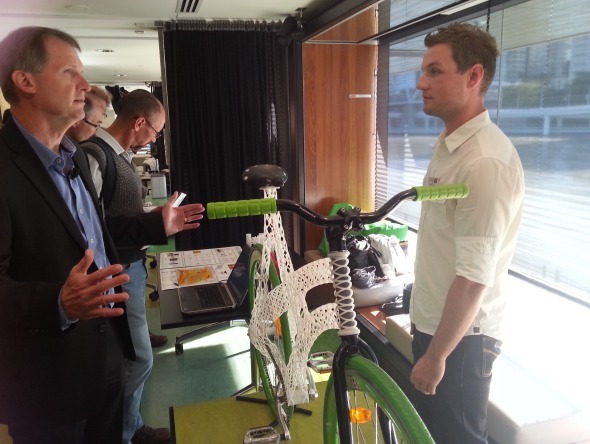 After the bike frame was 3D printed in mammoth resin through i.materialise, the item was exhibited at a seminar in Brisbane, Australia this past July. Will we all drive 3D printed bikes in the future? A customized bike frame like this might be available to you too in the future. But so far it’s still a long way to go. James Novak’s design is rather a prototype than an actually functional bike frame since mammoth resin could break too easily. However, with new 3D printing materials like steel and titanium emerging, creating usable 3D printed bikes might become a reality one day. 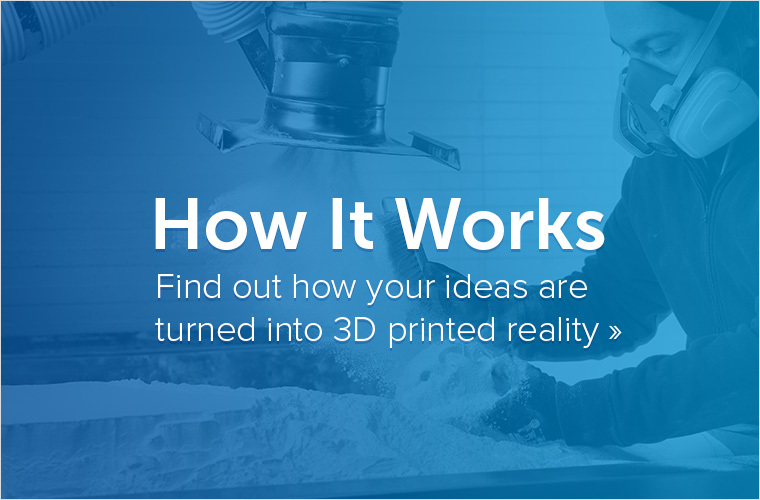 What would you reimagine with 3D printing? Would you like to receive a professional high-quality 3D print just like James? 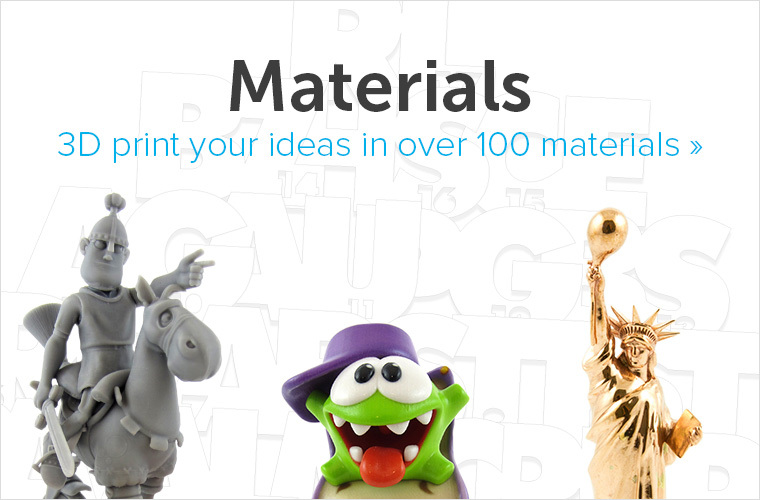 All you need to do is to upload your design to our online 3D printing service and choose your favorite material – we even offer titanium, ceramics, or gold prints.